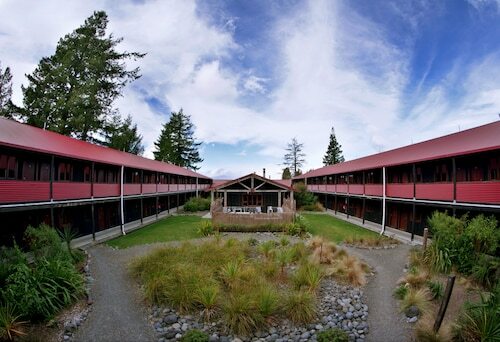 Situated in National Park Village, this lodge is within 12 mi (20 km) of Tongariro National Park Whakapapa Visitor Centre, Taranaki Falls, and Mangatepopo Trail Head. Mount Ruapehu and Ohinetonga Scenic Reserve are also within 16 mi (25 km). 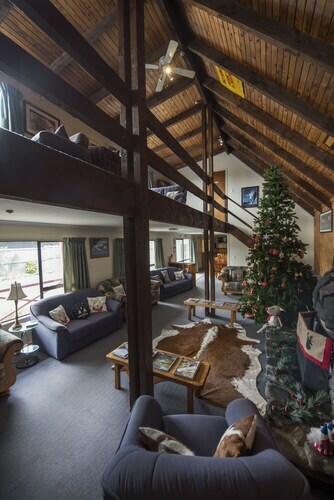 Located near the slopes, this National Park Village bed & breakfast is in the mountains and within 12 mi (20 km) of Tongariro National Park Whakapapa Visitor Centre, Taranaki Falls, and Mangatepopo Trail Head. Mount Ruapehu and Whakapapa Ski Area are also within 16 mi (25 km). 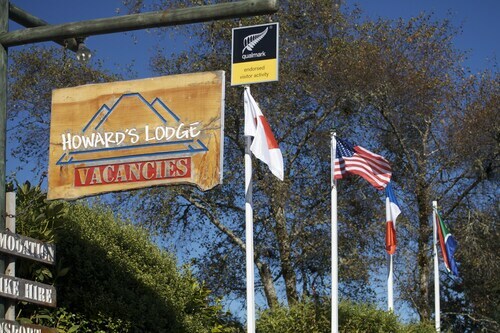 Located near the slopes, this National Park Village motel is in a national park, within 25 mi (40 km) of Whakapapa Ski Area and Tongariro Alpine Crossing, and close to winter sports such as cross-country skiing and skiing lessons. At the moment, Wotif has no hotels in or around Whanganui National Park. But you can rest easy. Taumarunui is situated approximately 55 kilometres from Whanganui National Park, and features awesome hotels, including the St Davids Ruapehu and Forgotten World Motel. Like to travel a bit further afield? You're in luck! Manawatu - Wanganui has plenty of other attractions to keep boredom at bay! Lovers of the great outdoors will appreciate Manawatu - Wanganui's beaches, coastal plains and forests. In addition, you should head to a selection of the area's old towns. Locals and visitors alike in this fabulous part of New Zealand can also enjoy mountain biking, mountain climbing and hiking. Looking for things to do? Consider spending some time discovering the Iwikau Village and Mangatepopo Trail Head, which you'll find in Tongariro National Park, 55 kilometres to the east of Whanganui National Park. The Chateau Tongariro Hotel and Skotel Alpine Resort are some of the accommodation alternatives in Tongariro National Park. 70 kilometres to the south of Whanganui National Park, you'll find Wanganui, which is home to the Grand Hotel Wanganui and The Rutland Arms Inn. The South Beach, Queens Park and Memorial Tower are just some of the more popular points of interest to check out for those visiting Wanganui. So stop daydreaming and start packing! Whether it’s Whanganui National Park, Timbuktu, or anywhere else on this incredible planet of ours, Wotif can take you there, on time, on budget and in style! How Much is a Hotel Room in Whanganui National Park? 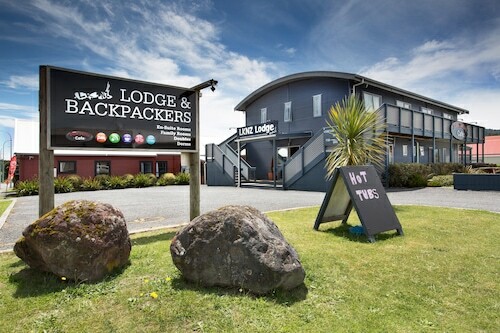 Hotels in Whanganui National Park start at NZ$68 per night. Prices and availability subject to change. Additional terms may apply. Even though we had some communication issues which meant we weren’t actually able to stay the response to the issue was fantastic and it was sorted very quickly. Thank you Graeme.